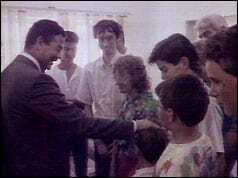 Shortly after Iraq invaded Kuwait on August 2, 1990, Saddam Hussein and his Republican Guard forces took hundreds of Americans and people of other nationalities hostage in Iraq and Kuwait. The intent was to use them as bargaining chips and forestall any military action against Iraq in retaliation for its invasion of Kuwait. With hundreds of Americans being held across Iraq and Kuwait, along with many more in hiding, the American embassies in Kuwait and Iraq did all they could to safeguard American lives and provide safe transport out of Iraq and Kuwait. With Ambassador to Iraq April Glaspie out of the country on medical leave, Deputy Chief of Mission Joseph Wilson worked under extreme pressure and stress to secure the release and evacuation of the hostages and the maintenance of morale at an embassy that was under constant threat and unimaginable stress. Wilson describes the work carried out by Embassy Baghdad, from days leading up to the invasion of Kuwait until January 1991, when all American embassy personnel were evacuated. He discusses how he cajoled the Foreign Ministry into releasing as many hostages as possible, resorting to the threat of bad PR with international media. He was interviewed by Charles Stuart Kennedy beginning in January 2001. You can also read Ambassador to Saudi Arabia Chas Freeman’s account of the Gulf War and other Moments on the Middle East. Listen to the podcast here. In addition to enhancing our security posture, we did the ”burn-down” — we burned down [the amount of classified material on hand] to about five minutes. We did everything we could…. Once we got past the first few days, after my meeting with Saddam, we saw that the troops were moving and the Iraqis by this time had essentially annexed Kuwait. They said that Kuwait was now the 19th province of Iraq. It became pretty clear that we were in for the long haul. We were preoccupied again with the welfare and whereabouts of our citizens. We were preoccupied with the evacuation of embassy employees. By this time the Iraqis were rounding up American citizens in Iraq, in Baghdad; we were one step ahead of them. We were able to get out and pull most American citizens into our diplomatic quarters. We got 150 people whom we lodged and fed in various diplomatic compounds. There were another 115-120 that were identified as human shields; they had been caught up in all of this and were unaccounted for. 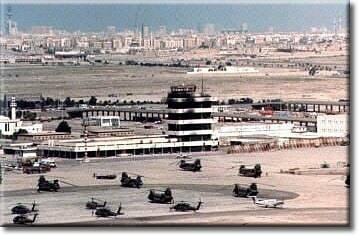 There were what we estimated to be a couple thousand Americans in hiding in Kuwait; our people in Kuwait were running a little operation to try to bring everybody safely into the embassy compound. So we didn’t have a whole lot of time to think about much more than how we were just going to get everybody out in anticipation of a military action. At this time we were working literally 20-22 hours a day trying to get all our plans ready and to contact everyone. Every night I was getting calls at one o’clock in the morning saying that [U.S. 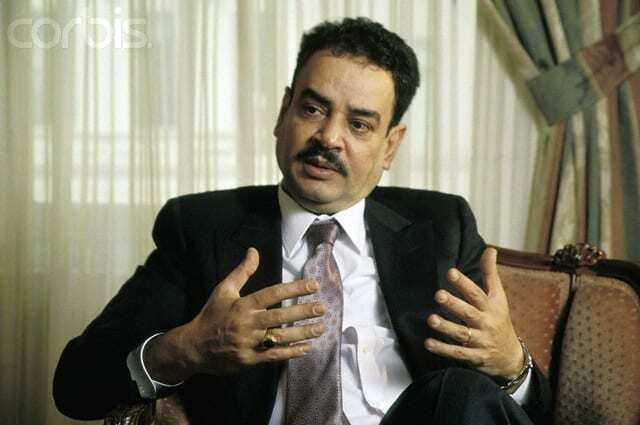 Ambassador to Kuwait] Nat Howell had just reported to the Department of State that Iraqi troops had amassed around the embassy compound and that they were in a formation that suggested that they were going to come over the walls and take the embassy. A couple of hours later I’d get a call at home waking me up, and it would be Nizar telling me that a higher authority had just told him — that higher authority being Saddam — that I should not worry; they weren’t going to invade. I would relay that back to Washington, and an hour later or so Washington would report back to me that in fact the Iraqi troops had backed off from the embassy compound. This went on every night for several nights. We were not getting any sleep. We had all our dependents still in Baghdad, so that we were having to deal with a lot the family issues. We had people stuck Kuwait, and it was pretty hectic. Iraqi courts were rounding up American citizens and making them hostages. On the fourth of August, I guess it was, they brought up a bunch of Americans out of Kuwait — they had been captured there during the invasion; they put them in one of the hotels in Baghdad. I went over to try to see them. They wouldn’t let me see any of them. I was prepared to call a hostage a hostage and I called Washington. We were working real hard to get the human shields released. 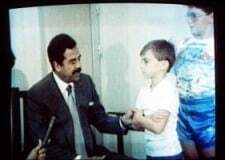 Saddam was attempting to paint a picture of himself as the benevolent “Uncle Saddam.” He appeared on international TV with a 14-year-old hostage in a very eerie photo….The footage was of Saddam standing with the boy in front of him; the young man looked absolutely petrified. Saddam pats him on the shoulder, on the head, and makes like he’s just invited this guy over to spend a few weeks with him in Iraq. Of course, the kid was there against his will; the kid’s mother was there against her will. It was very chilling, and I don’t believe that it achieved his propaganda aim. The propaganda aim was to convince viewers that these people were not in fact hostages; that they were just being held temporarily against their will, but they were being treated very well, as guests as opposed to as hostages…. About this time, the Egyptian ambassador called me and invited me over for tea that the afternoon;…. He said, “You know, Saddam has just built this big statue to himself at the Arab Conquerors Square — Arab Heroes Square — and he’s taken down the statue of an Arab on horseback to be replaced with a 40-foot-high statue of himself. “At the same time he’s done that, his people have gone around and instructed all the various business establishments in Iraq that might have the “Arab Hero” in their business title, or “Arab Conqueror” in their business title, to change their names of their businesses because there is only one Arab hero in Iraq and they were not it. So, for example, if you were in Baghdad and you had the Arab Hero Drycleaner, somebody would knock on your door and say that you had to change the name of the business because there’s only one Arab hero and they were not it. Within about four or five days, Saddam announced that women and children would be permitted to leave Iraq, which basically opened up that floodgate, so we almost at once were able to have the hostages that we had in our custody released from the country. After the Iraqi invasion of Kuwait, we imposed the Presidential Executive Order, which was followed by a UN embargo on trade with Iraq. That meant that everything from initially telephone communication, for which we had to get a waiver, to regularly scheduled airliners and other flights became very limited. We obtained waivers for humanitarian evacuations of the people who were being held against their will or were stuck in Kuwait and Iraq, but otherwise we couldn’t get people on airplanes. So the only way that we could get people out was to drive them across the desert, which was about a 12-hour drive, to Jordan or to drive them through Iraq to Turkey. We began organizing these evacuations literally on the second day. We went to a complete drawdown posture…. The timing of the evacuation was further complicated by an Iraqi requirement that they be given a 10 days’ advance notice before left an area more than 25 miles outside of Baghdad; they were pretty inflexible about that. In addition, ordinary citizens had stopped traveling, so that it was very difficult for people without diplomatic passports to leave the country. Then, of course, the Iraqis were taking these people hostage; we couldn’t risk exposing our citizens to the Iraqi street for fear that they would get picked up and turned into hostages. In fact, some of the Americans that we took in and put in our diplomatic quarters — that’s why we were housing them all in diplomatic quarters, because these were sacrosanct, they were inviolate — we couldn’t keep there. We weren’t going to force them to stay there; they would get antsy and they would go out to go do some shopping or something like that and would get picked up. We had a half a dozen guys who were staying with us who just decided they were going to go shopping or go back to the house and pick up their stuff; they got picked up and were made hostages. For our own people we managed a number of evacuations. The first one was to Jordan. The invasion was on the second and we were able to get them out on about [August] 10th or 11th or 12th…. The convoy left a few hours before we said we were going to leave. It left about sunrise. They drove all day through the desert. This was in August and it was very, very hot. Some people took their animals. There were two or three people to a car. We had our Marine security detachment accompany the convoy because we had already shredded all of our documents; therefore, their mission in Baghdad had been accomplished. We sent out all of the spouses and most of the nonessential employees. They got all the way to the border, but were not allowed to cross the border. They called me through the public telephone system. I was in constant communication with the Foreign Ministry. I told the people in the convoy to stay where they were. They didn’t stay, but turned around and came back. On about one-third of the way back, I got word from the Foreign Ministry that the borders were open and that the convoy could cross into Jordan. But we couldn’t get in touch with them so they drove all the way back to Baghdad. We put the people in the convoy to bed and sent them back to the boarder the next day, at which time they finally got out. It was extraordinarily stressful for them, for us and for everybody involved, but we did get them out. In time we got ourselves down to about seven in this evacuation, but we still had all these people in Kuwait. They were estimating that there were over 100 Americans in Kuwait, all stuck inside the embassy compound. In addition, there may have been some Americans who were in hiding. In fact, we estimated that there were about 2,000 Americans in Kuwait, but we could never verify that. Our focus then became to try to get these people out of Kuwait. By this time the Iraqis had annexed Kuwait and they were continually moving in a threatening fashion around the embassy compound. They were looting embassy houses around town. I would get calls saying they were going to take over the embassy tonight and that I needed to do something to stop them…. Nat and his staff had decided that they had adequate supplies, they were conserving their energy, they had the famous swimming pool, their water supply….When the swimming pool started getting a little dirty, they dug a well. They demonstrated how self-sufficient they were; they were going to get their own water, which they did. I think they actually did find water in one of the wells they dug. About this time we started talking about what would the Iraqi reaction be if we were to draw down our diplomatic presence in Kuwait. I broached this subject with the Iraqis and got my knuckles wrapped by the Department because it was premature and they hadn’t thought their way through that. Ten days later they asked me to go in and make the exact same representation I had made…. In my meeting with [Foreign Minister and Deputy Prime Minister] Tariq Aziz on this particular subject, I asked them how they would react if we were to reduce the size of our diplomatic presence in Kuwait City by bringing the nonessential diplomats and their families not just out of Kuwait, but out of the region. His response to me was that Iraq would abide by all of the relevant conventions, meaning the Vienna Convention, concerning the movement of diplomats from one country to another in times of conflict. As a consequence, I made a case that we ought to go ahead and withdraw nonessential diplomats out of Kuwait, perhaps first to Baghdad, and then prepare to move them out of the region. There were going to be about 100 people leaving, maybe about 20 from the embassy compound. I sent off a cable in response to Nat’s saying, “I agree fully with the distinguished Ambassador’s assessment of the Iraqi Foreign Minister. That said, however, our experience has been that the Americans in Baghdad are, by and large, safer and better taken care of than those who are stuck in the embassy compound in Kuwait. The diplomats who are already here are allowed to move around. They have access to food in the market. They don’t have to worry about Iraqi troops coming over the walls every night…. I’m told that this cable debate went to the President of the United States, which is not unusual in a situation like this involving American citizens….I’m sure the file went up to him with a little note saying, “I think that we ought to do this.”.…The President approved my recommendation and we sent a guy to Kuwait to lead a convoy to Baghdad. Charlie Sibel, …a political officer, went to Kuwait. 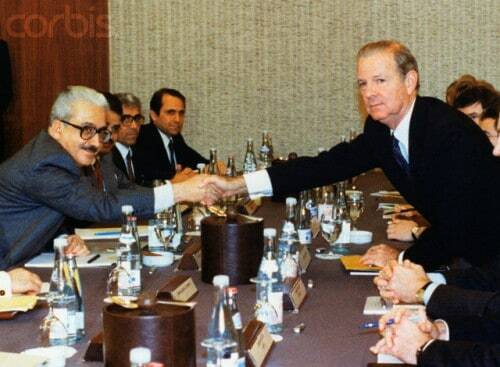 He was an experienced Arabist; he could speak Arabic, and he helped the people in Kuwait to organize. We got everybody together, we got cars and we moved well over 100 people to Baghdad. The convoy left Kuwait about eight o’clock in the morning for about an eight-hour drive. We figured that we would see them about four o’clock in the afternoon. Once again, we lost contact with them, and we did not see them until three o’clock in the morning. When you are responsible for American lives, you tend to worry.…We had set up beds and mattresses. We had taken over the Marine house and made it basically a flop house for everybody. We put a lot of water there as well as beer; we put everything there to make the evacuees as comfortable as we could…. This convoy we were going to run to Turkey. We had everybody set on the Turkish side. So we took the passports to the authorities, only to find that nobody was there. Then the Iraqis decided that they were not going to issue exit visas, and by about nine o’clock in the morning it was pretty clear we had been double-crossed. I then made the case that at a minimum they had an obligation under Saddam’s own edicts to allow the women and children in the convoy to leave, because they had already allowed women and children to leave. There were about 60 women and children. I think the whole convoy was about 127 people –something like that. We were able to negotiate the departure of the women and children. We sent all their passports to the Iraqi authorities and got the exit visas for them. In this group of women and children were about, I think, four kids who were 18 — just right over on the adult side of the line. They could not leave. Their mothers could leave, but these kids had to stay. Twenty-four hours after we had initially anticipated, we finally got women and children on the road. In those intervening 24 hours, while we were working full steam to get the visas, we also organized an event at the Marine house. We organized a barbecue. We had volleyball; we had beer and soft drinks, and we invited everybody from all the embassies just to relax a little bit — people from our embassy and from the U.S. Embassy in Kuwait. We got people bedded down. Then we got the ones who had to leave the next morning into the convoy’s cars with Charlie leading the way again. He drove them to the Turkish border, got them across, and then turned around and came back. We then ended up at my embassy with seven Americans who were accredited to Iraq — one consular officer, a couple of military officers, and a couple of administrative and secretarial staff — plus approximately 63 Americans who were accredited to our embassy in Kuwait. There were a couple of things we were worried about. One, we figured that if we couldn’t keep them busy, they would be even more unhappy than they were. 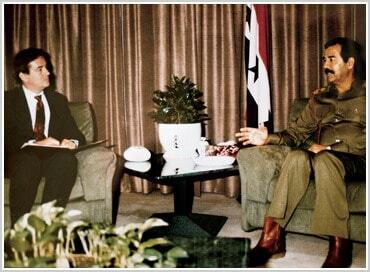 Then we had to overcome their hostility towards the Iraqi regime. We didn’t think that they would do something that would screw up our efforts, because they weren’t accredited in any way, so that they could not have any official interaction with the Iraqis. What we worried about was that they would become bored and very, very demoralized, which would be counterproductive to our own efforts, to our own management. We wanted to channel the hostility. We wanted to make them productive within the embassy. Their team leader, the guy who led them to Baghdad was a guy by the name of Emil Skodon. He was the economic-commercial counselor — just as solid as the day is long. We had a number of really long talks about what to do, and we did some things that I think were really very creative. We reactivated the Marine security guard detachment, because the Kuwait Marines had come out with the convoy. One of the things that we had found is that oftentimes the morale of the Marine security guard detachment is directly reflective and impacts on, one way or another, the morale of a whole embassy staff. So we did not want these Marines, who were young and impressionable, in a less than disciplined structure; so we put some discipline in their structure almost immediately. We reactivated the battalion. We made them our Marines. We did it over their initial objections, but we did it and we did fast. Once they started taking orders, they did a good job. The other thing we did is was to make the American citizens, either in hiding or being held as hostages, our principal point of focus at the mission level below me and we organized a support system. We established a pen pal system. For every one of our hostages being held, we had one of our people responsible for communicating with them, sending them letters every week. I don’t know if the letters ever got there, but it gave these people something to do. 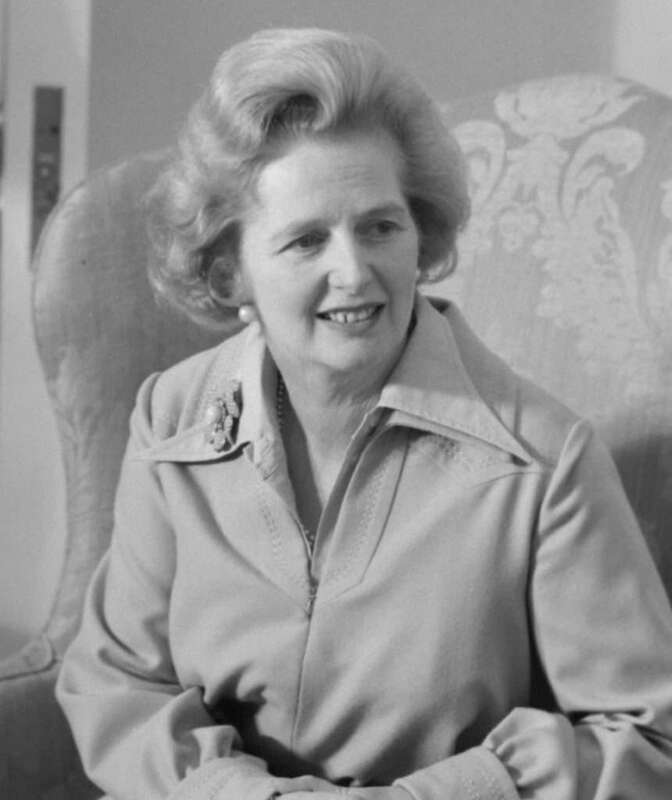 We produced a weekly news bulletin which we would tried to send to the foreign ministries of the hostages which would include such things as football scores, recipes, anodyne stories that had no political implication whatsoever, so that they would at least have some sense of connectivity with us. We developed a scavenger group, which is one of the best things we did. We sent these out to, one, get money — you could exchange money on the black market at incredibly favorable rates to us — so that they would have enough dinar to purchase supplies. With the embargo in place, we couldn’t get a ready source of imported food products anymore, so we sent people out with instructions to stock the embassy in such a way that we would be able to feed 150 people for six to nine months. That meant that they would go out, find sources for frozen food and for dry food and canned food. They would go to the markets. The Iraqis were looting everything that they could in Kuwait City, which they would bring back to Baghdad. Open-air markets where they were hocking all this stuff that they had looted from Kuwait were growing up around Baghdad and other areas of Iraq. We would have a group of our “guests” go out to buy stuff. In fact, we became so well stocked in food and booze and everything else we needed that some of our people actually started going out looking for some of the stuff that might have been looted from their houses. That kept a bunch of them occupied. 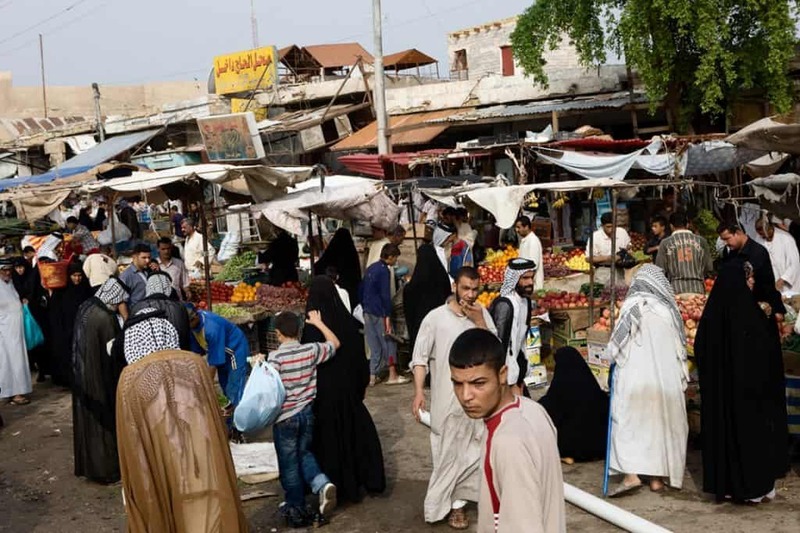 The Iraqis were kind enough, to use the term loosely, not to pick up Americans who were carrying diplomatic passports even if they were not accredited to our embassy in Iraq; so our people were pretty safe looking around and shopping. We also set up a group to plot the movement of the human shields, and this was particularly important. What happened was that, as time went by, Saddam would release hostages periodically. He released French citizens because he thought that that would cause the French to drop out of the coalition that had already been marshaled against him. When these hostages were released, they would often come to the embassy to bring us letters from American hostages. Through these letters we were able to plot about 55-56 points on the map where they were being held. Saddam did move the hostages every 10 to 14 days. We were able to plot the movement of the hostages from one place to the next. The net result was that at the end of a couple months we had a pretty good picture of the 56 places that Saddam deemed to be of sufficient strategic value to put hostages in. If you take a look at a map to pin point the first night’s bombing raid of Iraq, you’ll notice that we’d sent the bombers over the places that Saddam considered to be of strategic importance to him; you will find that they match up pretty nicely with our analysis of where the hostage were, thank you. Saddam, by keeping these hostages in a finite number of places and by moving them around to a finite number of places, gave us a blueprint of what he considered to be of strategic importance to him, and we used that.…Then we had Americans who were being held in diplomatic quarters, as they were called. They were American citizens who had not been picked up by the Iraqis, but who had sought refuge with us, and we housed them. We put them all at the Ambassador’s residence. There were anywhere from 35 to 50 on any given day. We would essentially assume responsibility for their care and welfare…. Every time there was a visitor we would have some input into which hostages got released, or we found loopholes in the management of the hostage program so that we were able to go in and say, “This person doesn’t fit this category of hostage. Therefore, you should release him.” We had some allies within the Iraqi Foreign Ministry that would allow that to happen. We would get a couple out that way, and then they would close the loophole and we’d have to go and find another loophole. We had a several-pronged strategy. One was that we just papered them with diplomatic notes to get these hostages out. We would send notes like, “He suffers from hangnails. Therefore, he really needs to be home. You need to do this” — anything would do. We tried to be very positively responsive to any family concern about their loved ones. We would go ahead and act upon it. We tried to find these loopholes, where we could find them. We were able, during the evacuations of various groups, to make the case that mothers and children should not be separated; it didn’t make any difference whether the mother was Kuwaiti or American. So long as the child was an American, the mother should go with him or her. We were successful in that. We were successful in getting one or two hostages out every time, and we would try to load up hostages onto every American who came out. It didn’t make any difference to us. The more, the merrier. If we could get 10 out with [boxer] Muhammad Ali, if they promised us 10 we’d go for 12. So we tried to be very responsive. The other thing that we tried to do diplomatically — I made this case starting in November — was to say that Saddam should be under no illusion that by holding hostages it was going to prevent war; on the contrary.…. Women and children under the age of 18 had left [in October 1990]. We had different categories of people whom we were worried about. One, we had people who were in hiding in Kuwait. Two, we had people who were within the embassy compound in Kuwait, which had gotten down to just a handful of key personnel at that time. We’re now talking about the November timeframe. Three, we had Americans in hiding in diplomatic quarters in Baghdad. Those were the people who were at the Ambassador’s residence, anywhere between 35 and 50 at any given time. Four, we had the human shields, up to 115 at one time. 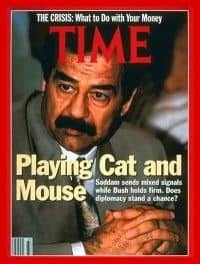 We saw that Saddam was going to use them as bait to lure Americans to come to Iraq in an attempt to, I guess, really portray Kuwait as the aggrieved party rather than the United States and to encourage them to violate the Executive Order and the UN which had imposed sanctions on travel to Baghdad. It was to a certain extent successful. We had a lot of visitors come through; the most notable two being Muhammad Ali and Ramsey Clark, former Attorney General in the Johnson Administration. We made a practice of providing the Iraqis with medical documentation for any hostage whose family was able to provide it to us. Then we established criteria because the Iraqis would often ask us who should be released and who shouldn’t be released. We, of course, always said everybody should be released, but in the absence of releasing everybody, “If you’re going to release three or four people,” we would name some based on a number of objective criteria including health and age, state of mind, family status, etc., that we had established and we would forward those names accordingly…. The Iraqis knew that there were a number of people hiding in Kuwait. They didn’t know how many, and we weren’t going to tell them….Every time that we thought that we had enough eligible people to justify a flight, we would run a flight to and from Kuwait….It was a flight designed to move people out who were eligible. There were still American women in Kuwait; we had Americans who were of dual parentage and therefore had dual citizenship. In those cases we insisted that they were Kuwaiti. So we offered a number of Americans the opportunity to come to the Kuwait airport and get on an aircraft flying out of the area. I think we flew something in the order of 11 or 12 flights. Typically if we had a group in Iraq that was ready, then we would bring the aircraft to Baghdad, fill it up and send it on its way. Typically there were never enough Americans on these flights, so we would invite people of other nationalities to get aboard a first-come/first-served basis. If you took a look at the manifests, we had Libyans, we had Filipino maids, we had Palestinians — we had all sorts of nationalities on these flights out of there and very few Americans. Within Iraq we had two categories. We had a few of these kids who had been born of Iraqi fathers and American mothers in the States and the Iraqi father, after splitting with the American mother, had somehow gotten his hands on the kids and brought them back to Iraq. There was nothing we could do about that even though I used to spend hours working on such problems…. We made innumerable representations on behalf of these kids who were American citizens, but in Iraqi law, were the sons and daughters of Iraqi citizens and, therefore, they were Iraqis and unable to leave Iraq. We did everything we could to facilitate contact between the mother and the father to assure the mother that her kids were okay and to try to facilitate some rapprochement which would allow the mother to see the children periodically. That was one category, which at no level could we bridge the gap. The other category was typically American women who had married Iraqis, mostly in the ‘40s or the ‘50s, when the first wave of Iraqis had come to the United States to go to school. These were people of late middle age who had spent most of the last 40 years in Iraq, including the whole period of the Gulf War, without ever having the opportunity to leave because there were restrictions on Iraqi travel outside the country during that period. They had basically decided their own fate by that time. They saw themselves as the wives of Iraqis. None of them approached me about leaving. Their whole relationship with the American embassy was one of just staying in touch with America and their American roots, but for all intents and purposes they all saw themselves as Iraqis…. The dual-national case occurred usually in two ways. One was the children of an American male and a Kuwaiti female. They were Americans, and that was pretty easily resolved: they were able to leave. Then the second one were the offspring of American mothers and Kuwaiti fathers. The initial decision was that they were to be considered Kuwaitis through their father and, therefore, the mothers would be permitted to leave without her the children because all Kuwaitis had become Iraqis and therefore were subject to the travel restrictions imposed on Iraqis. I went into the head of the Immigration office and I told him that I was furious at what they were doing. I had my biggest cigar in my mouth and I had my face really right up in his face – just far enough away from his face so that I could smoke my cigar. Every time I was getting in his face, I was blowing cigar smoke in his face as well. I made it very clear to him that we were not going to put up with the idea of separating mothers and children. I told Nizar, “Look, this is the way you get out of the problem. These are children of American mothers. While technically they’re Kuwaiti children, the general principle of not separating mothers from their children should be overriding in this case.” I added, “And if you don’t, I just want you to know that your president made the decision to allow women and children to leave Iraq because he thought he was going to gain propaganda points through this decision…. Twenty-eight minutes later he called me back and said, “They can all go. Put the Immigration official on the phone.” The Immigration official got on the phone, said, “Yes, sir,” and they moved all the women and children onto the airplane and they got out. After that, I went out; the press was all there and they asked me about it, and I was able to report that in fact there had been a successful departure of all these women and children. I should mention that a number of hostages got themselves out. We had a number of hostages – they were not actually hostages but housed in different quarters – who took it upon themselves to make a break for it. We counseled them not to do it; it was dangerous, but they were committed to doing so. Since we had no legal means of keeping them against their will, all we could do was counsel them not to proceed, but then we provided as much support as we could, including maps, compasses and such. A number of these people — maybe as many as three or four different groups over a period of three weeks — left in the middle of the night and drove as far towards the Jordanian border as they could — usually within a couple of miles of the border. I don’t know how they got through the checkpoints, but they did. They drove all the way to near the Jordanian border, walked a couple miles in the desert, turned towards the Jordanian border at some point, and then crossed the rest of desert into Jordan, where they would be met by American authorities on the other side. Although we didn’t run these operations, we provided logistic support to those who determined that they were going to do so whether we liked it or not, and we didn’t like it. 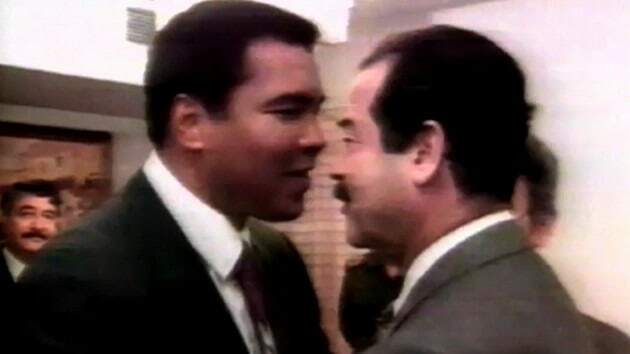 He said that four times he raised that with Tariq Aziz and four times Tariq said, “I have to refer that to higher authorities” — higher authorities being Saddam. 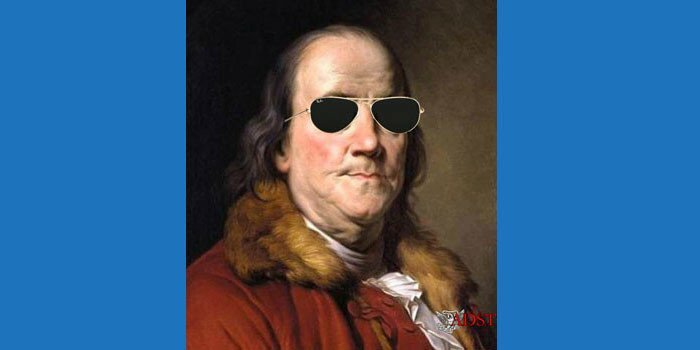 I phoned Washington, and Washington replied, “Well, that’s fine. Why don’t you get on an airplane?” There were will airplanes going back and forth to Amman — or drive to Amman, one or the other. Get on an airplane to Amman and get on a commercial flight out of Jordan.” This is the 10th of January when we were talking. I said, “Well, that’s very thoughtful of you.” We had run several these charter flights to Europe taking everybody and their uncle and their dogs and maids and everybody else, but they were going to have us fly to Amman, Jordan, and then wait around for a commercial flight. My idea was to charter an Iraqi 747, because when we ran our charter flights, because of the nature of the sanctions and the Iraqi counteractions to the sanctions, the Iraqis only allowed Iraqi charter flights to take off. We took the flag with us and flew out on the 12th. We took most of the other diplomats. The French stayed and left by automobile the next day. The Turks stayed a little bit longer….Some of the others stayed; the Algerians stayed and a few others stayed. Most of the rest, certainly all the Western diplomats, we took with us and we flew to Germany. « The Greek Debt Crisis — How Did It Get Here?